SplashTop.com supply a range of products and services to help business and institutions with IT solutions. Their remote support tools are suitable for individual users and groups. Technicians and consultants will also find practical tools for accessing colleagues’, clients’ and customers’ machines. Splash Top claims to offer unbeatable value, with low annual prices based on the number of users. Further savings can be made if you wish to have more than 35 users in your network, and prices are provided on inquiry. Whilst this isn’t expensive, we’re not completely sure their prices are “unbeatable”, but they’re certainly very competitive. The site's business remote support services aim to offer high performance and high security. They also allow a range of devices to synchronise, including Windows, Mac, iOS and Android, plus any device using a Chrome browser. This makes it a versatile system, suitable for use across and between large departments. To get things going you simply need to download the Splashtop Streamer on each computer you wish to use remote features on. You can also install the business app onto any mobile devices, allowing users to transfer files or access data on other machines, wherever they might be. Multi-user concurrent sessions are a potential game changer for this service. Some remote access services will only allow one remote event to run at any given time, but this restriction does not apply with Splash Top. As such, you can have different people accessing different machines remotely at the same time. This is going to be useful if you are planning on using the system to help a lot of clients remotely. A further standout feature is the “grouping” option. This allows you to carefully create groups of users so that you can find them again easily at a later date. Whilst this might not seem too vital, it will prove its usefulness in larger organizations, where setting up working groups or meeting groups can quickly get out of hand and make locating individuals difficult. By building and saving particular groups, you can quickly create a remote access session and invite the relevant people with ease. Of course, Splashtop.com offers all the regular remote support features, including file transfer and data security. It does a decent job, although it is lacking a few additional bells and whistles which would set it apart from some of its competitors. The 7 day free trial is a little short but ought to allow you to check out the various features and functions of what’s available. There are also various additional applications for teaching or industry-focused problems. If you want to find out more about how the products on offer might support your needs, please contact the sales team for details. 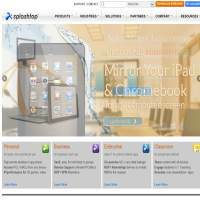 Over all, SplashTop offers a solid product at a low price. Whilst it might not have every feature for every need, it should offer enough solutions for most individuals and companies. Tied in with the various other products, you can build a user-friendly and comprehensive system for the home, school, workplace or on the move.